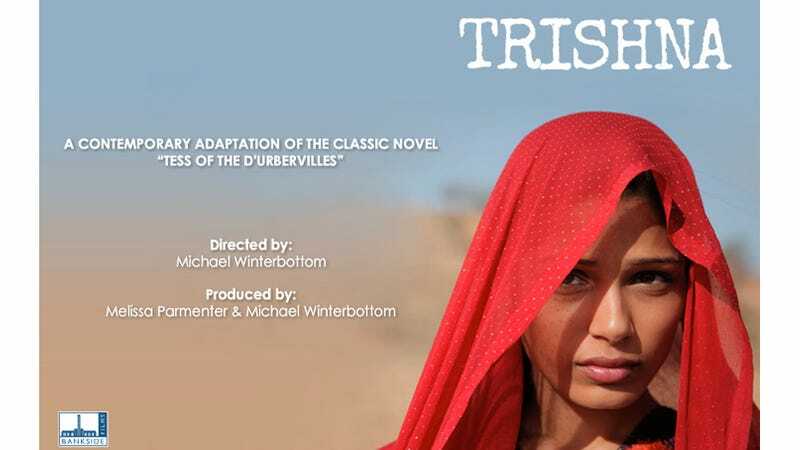 It would be called Trishna, and directed by Michael Winterbottom. Thomas Hardy's 1891 novel Tess of the d'Urbervilles dealt with the love between a beautiful young peasant woman and the wealthy, pious son of a Reverend, as well stuff like class and the sexual double standard (a woman must be chaste in order to be marriage material, duh). Freida Pinto stars in this adaptation, about a "woman whose life is destroyed by a combination of love and circumstances." She plays a working-class gal; Riz Ahmed co-stars as wealthy young British businessman. Interesting idea, with India's history of the caste system. Plus, the visuals look beautiful.